SGA Group partner Graham Sones organized a tour of the Theodore Wirth House on September 29, 2018. The tour was led by Joan Berthiaume, co-founder of the Minneapolis Parks Legacy Society. The house, a striking and historically significant home, is listed on the National Register of Historic Places. The Minneapolis Park Commissioners built Theodore Wirth’s home to attract him away from his position in Hartford, Connecticut. As Superintendent of Minneapolis Parks, Wirth turned the underdeveloped, disconnected Minneapolis parks into a system of national prominence. As a landscape architect and public park planning pioneer, he designed landscape features in the parks that could accommodate active recreational activities, without sacrificing the passive uses and natural beauty of the parks. By his direct influence on his staff, on professional organizations, and on his own family, Theodore Wirth became a powerful force, nationally, in the parks and recreation planning movement. The house, completed in 1910, included Wirth’s design studio, private office and expansive, surrounding grounds. The Theodore Wirth House was home, at various times from 1910 to 1946, to three generations of Wirth’s, including Theodore (1863-1949), his sons Conrad and Walter, and his grandson Ted J. Wirth, FASLA. Conrad (1899-1993) served as Director of the National Park Service from 1951 to 1964, and Ted (1927-2009) founded and led a leading-edge landscape architectural practice that spanned many states and had over 70 employees, at its peak. The Wirth House and grounds is comparable historically, in importance and influence, to “Fairsted”, the house and estate of Frederick Law Olmsted (1822-1903), in Brookline, MA. 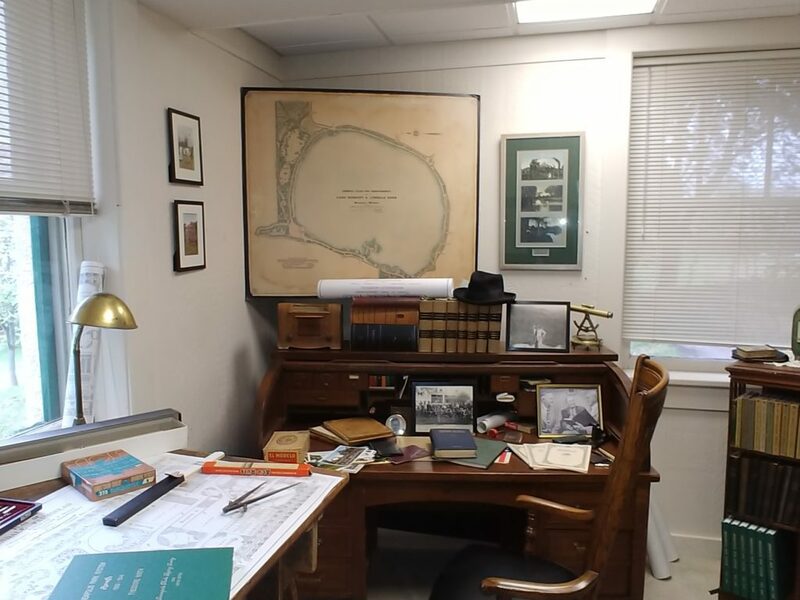 Olmsted is recognized as the founder of the profession of landscape architecture in the United States and establishing the world’s first full-scale landscape architecture office at his estate. The Wirth family legacy is a story of determination to carry forth with a central vision, persistence at a time in this country when there were very few other practitioners to look to for support, and a high-level of executed works over an extended period of time. © 2019 SGA GROUP INC.